Mounting a DPA 6060 or 6061 lavalier microphone in clothing or costumes and on the body has just become much easier. The Lav Concealer (Model BBI-LC-6060) for DPA 6060 is a soft pliable rubber mount that covers many different mounting options, moulding itself to the surface it is attached to. Because of its soft rubber material, it also acts as a shock mount, protecting the mic capsule from vibration and absorbing friction noise to give you clearer sound recordings. 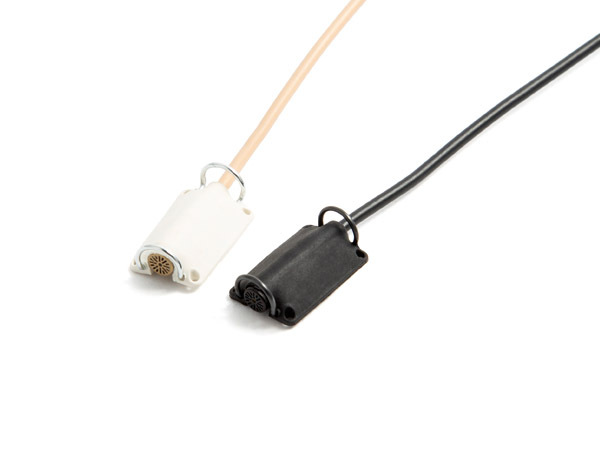 This Lav Concealer is a DPA 6060 and 6061 subminiature lav mount that fits snugly and, along with making hiding the mic easier, protects the 3mm capsule from a build up of glue which can result from repeatedly attaching tape directly to the capsule. The Lav Concealer for DPA 6060 can be attached directly to skin or clothing using our Lav Concealer Tape. The Lav Concealer for 6060 includes a fabric guard, made of sprung metal. Having two different materials operating in unison helps prevent friction or vibrations from being transferred from one to the other, and eventually to the capsule. Contact Jose on 087 551 1034 or info@stratosphere.co.za to place your order. 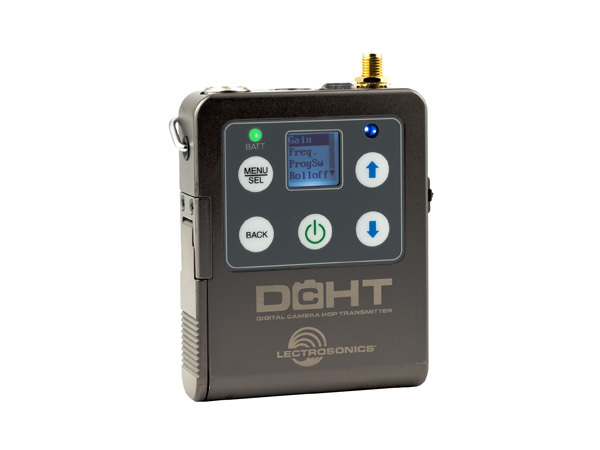 The DCHT is Lectrosonics’ response to customer demand for a small, lightweight, digital dual channel IFB or camera hop transmitter when paired with the M2R receiver pack. Audio Limited has released the new A-FLIP adapter. 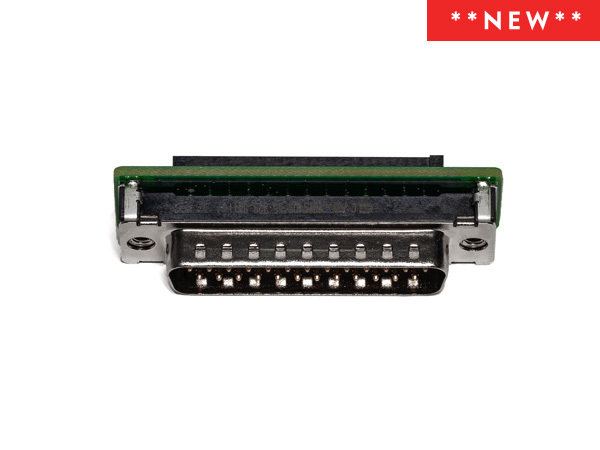 This adapter can be attached to the A10-RX-SL or A-SL to change the orientation of the A10-RX when inserted into the SL-6 or the A10-RACK, providing users a choice of viewing angles for their wireless receivers. The A-FLIP is now available and shipping. 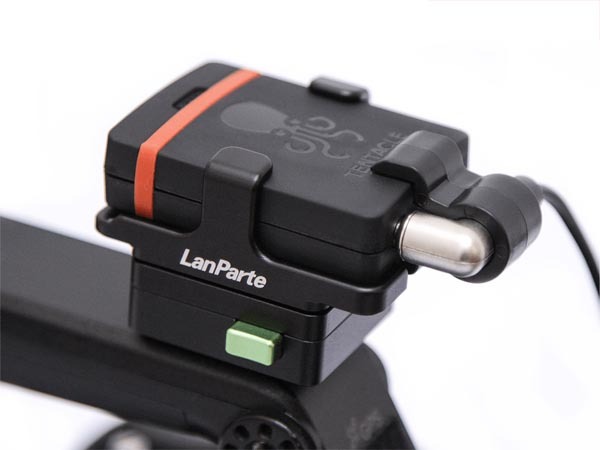 This lightweight aluminium bracket for the Tentacle SYNC E exclusively manufactured by LanParte can be mounted to any camera rig or directly to a camera with the included 1/4” screw. The Tentacle can be slid in and will be fastened with a little clamp. Secured in that mount, the Tentacle Clamp for the angled Mini Jack can still be connected. If you want an even more convenient mount, you can use the additional Quick Release Bracket or Cold Shoe Mount. 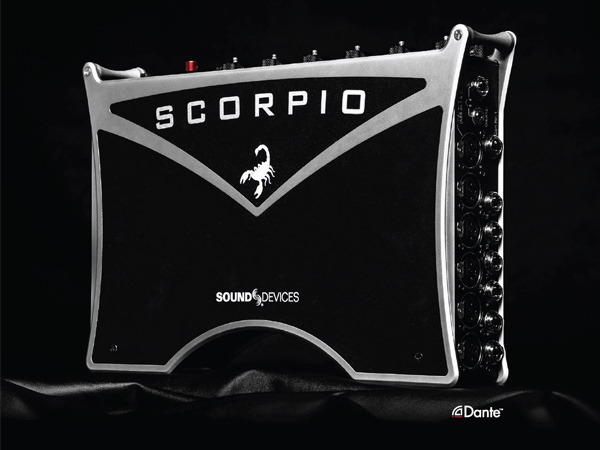 For more information or to place your order contact Stratosphere Sound on 087 551 1034. 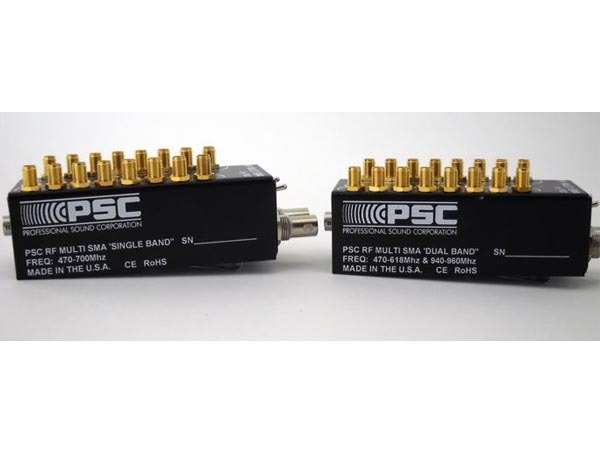 PSC ANNOUNCES RF MULTI SMA “SINGLE BAND” & “DUAL BAND” SHIPPING STARTS THIS WEEK! 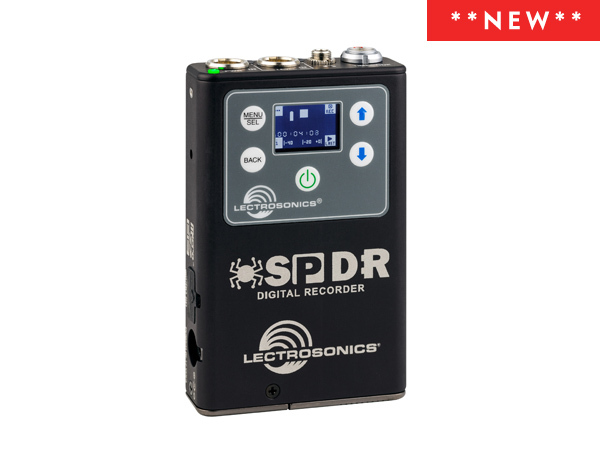 PSC is pleased to announce that our revised RF Multi SMA’s will begin shipping this week. These two new versions of our industry standard RF Multi SMA offer new frequency band pass filters allowing better operation with today’s new legal frequency blocks. Recent changes to the legal operational frequency spectrum have led to the development of these two new models. The “Single Band” model is primarily designed for use outside of the USA and the “Dual Band” model is primarily designed for use in the USA. Both units include newly re-designed circuit boards with more robust RF amplifiers, new and improved custom-made band-pass filters and revised power supply circuitry. The “Single Band” unit has an operation frequency range of 470-700Mhz and the “Dual Band” unit has an operational frequency range of 470-618Mhz and also 940-960Mhz so that is will operate over the new Lectrosonics 941 Block as used in the USA. Please contact us on 087 551 1034 with any additional questions. The A10-RACK is a 4 slot, 8 channel, 1RU wireless microphone receiver enclosure, compatible with most unislot and SuperSlot™ receivers. 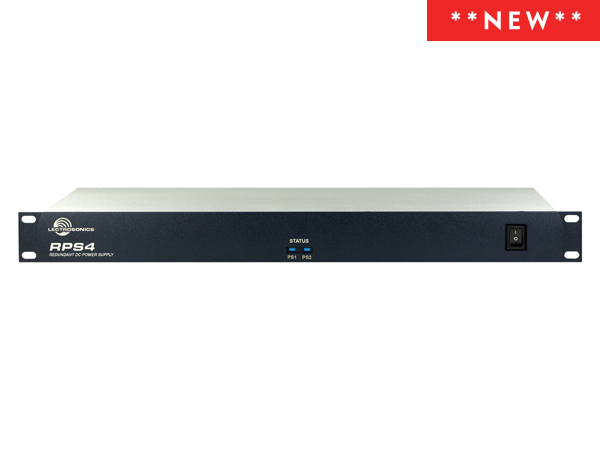 The A10-RACK accepts up to 4 dual-channel slot-in receivers, providing a total of 8 separate audio feeds. 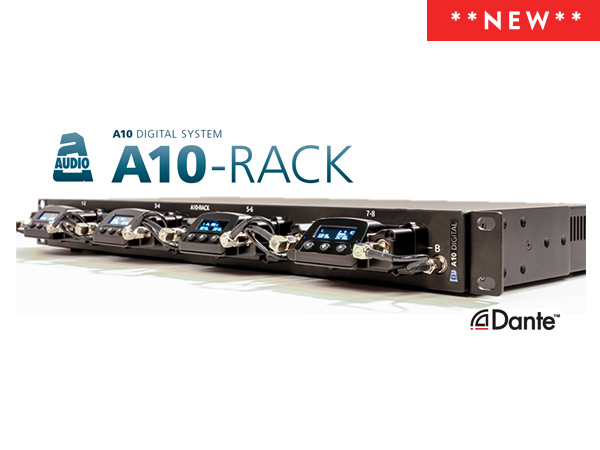 The A10-RACK provides high-quality antenna distribution, power distribution, up to 8 channels of analogue and/or AES digital audio via XLR-M connectors and an 8 channel Dante audio interface. 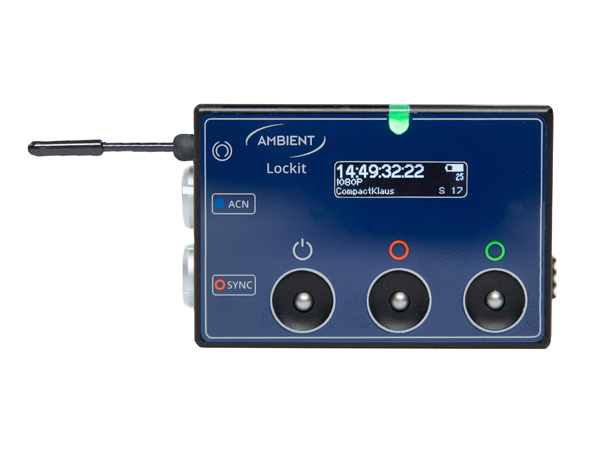 Full Dante audio network integration for up to four Superslot compatible wireless mic receivers (eight audio channels), such as Audio Limited’s A10-RX, as well as some models by Wisycom and Lectrosonics.